With the price of premium brass topping $90/100 for many popular cartridges, it makes sense to consider annealing your brass to extend its useful life. Forum member Darrell Jones offers a full range of brass prep, brass forming, and brass restoration (annealing, ultra-sonic cleaning) at very affordable prices. 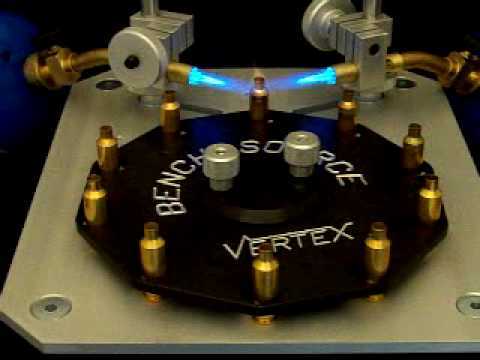 Starting at just $15 per 100 cases, Darrell’s company, DJ’s Brass, will anneal your used brass using state-of-the-art Bench-Source annealing machines. He can also ultrasonically clean cases for $15 per 100 ($20 per 100 for magnum cases larger than 0.473″ rim). Another great service DJ’s Brass provides is precision neck-turning. He can neck-turn any size case to your specified neck-wall thickness. The price is $0.30 per case (normal size) or $0.40 (magnum size) with a $20.00 minimum order. And if you’ve got a bucket of brass to neck-turn, that’s fine with Darrell — he recently neck-turned 1500 pieces of brass for one customer! DJ’s Brass can process everything from .17 Fireball all the way up to the big magnum cases. And the job gets done quickly. Darrell has a 10-day turn-around guarantee. For most jobs, Darrell tells us, he gets the processed brass to the Post Office within three business days. DJ’s Brass charges only actual shipping fees, using USPS flat-rate boxes. Muzzle Brake Tax Break Special: FREE cleaning of up to two (2) Stainless Muzzle Brakes with a minimum $50.00 order. Special good through April 17, 2012 (Tax Return Deadline for 2012). Now through April 17, 2012 (Tax Due Date), Darrell is offering a Muzzle Brake – Tax Break Special for our readers. For all case prep/restoration orders of $50.00 or more, Darrell will ultrasonically clean one or two stainless muzzle brakes for no extra charge (offer does not apply to blued or coated muzzle brakes). For more info, visit DJsBrass.com or call Darrell Jones at 205-461-4680. IMPORTANT: Contact Darrell for shipping instructions BEFORE sending any brass for processing. ALL BRASS MUST BE DE-PRIMED before you send it. Share the post "Brass Restoration Service Extends Life of Cartridge Brass"
We talked recently with our friend Darrell Jones, a talented benchrest shooter from Tennessee, who operates a brass processing business, DJ’s Brass Restoration Service. Darrell ultrasonically cleans old cartridge brass then carefully anneals each case, using temp-sensitive lacquers to ensure the brass is neither over-annealed or under-annealed. As far as we know, DJ’s Brass Restoration Service is the ONLY business in the country offering combined ultrasonic cleaning and annealing. And now Darrell can process your brass with even great efficiency. 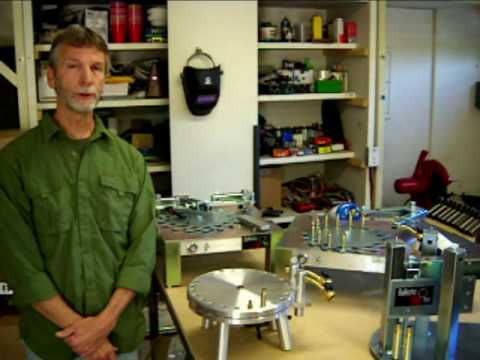 Darrell told us he has just received his new, automated dual-torch, carousel annealing machine from Bench-Source. This microprocessor-controlled unit may be the most advanced bench-top annealing machine ever created. Two torches are used to provide intersecting flames for uniform heating. The micro-processor precisely controls the heating time, and a special motor spins each case around its axis while in the heating position. This ensures that the neck and shoulder are annealed evenly. If you have “tired” brass with inconsistent neck tension from case to case, give Darrell a call. His cleaning/annealing process will extend the useful life of your brass, and his service is quite affordable. Darrell’s Basic Service starts at $20.00 per hundred cases — and that includes ultrasonic cleaning AND annealing. (Flat rate USPS shipping is extra.) Note: very large cases (such as the .338 Lapua) or damaged, dented cases may cost more. In addition to the Basic Service, Darrell offers a 4-Step Full Service starting at $25.00 per hundred cases (plus shipping). Darrell’s Full Service brass restoration includes: Uniforming primer pockets; Chamfering Case Mouths; Ultra Cleaning and polishing; Annealing case necks. For more information, visit DJsBrass.com, or call Darrell at (901) 826-1503. IMPORTANT: Contact Darrell for shipping instructions BEFORE sending any brass for processing. ALL BRASS MUST BE DE-PRIMED before you send it. 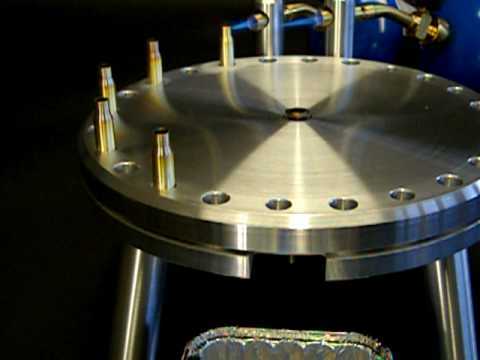 Share the post "Darrell Jones Offers Annealing and Ultrasonic Cleaning Service"